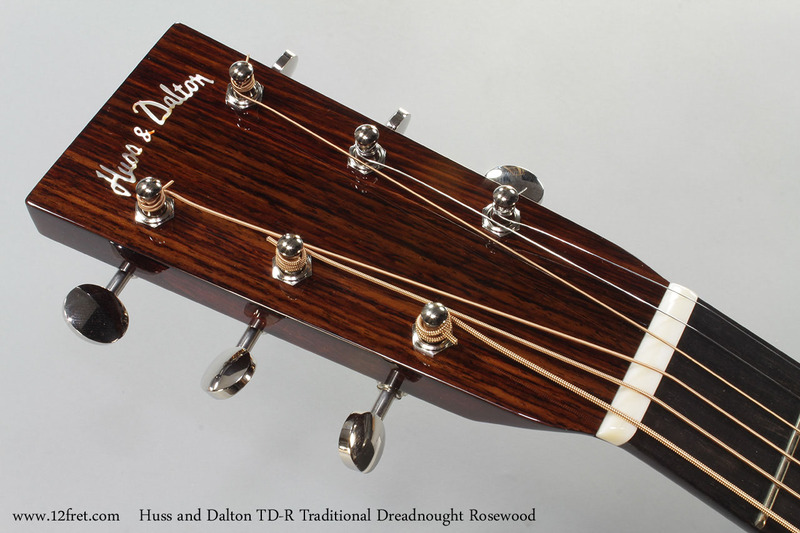 The Twelfth Fret recently become a Huss and Dalton Dealer, and this beautiful new Huss and Dalton TD-R arrived yesterday! The Huss and Dalton shop is run by Jeff Huss and Mark Dalton in Staunton, Virginia. Both spent years working for Stelling Banjos – another fine instrument line sold by The Twelfth Fret. These instruments are top quality, built with the best available materials, close attention to detail and a lot of skill. 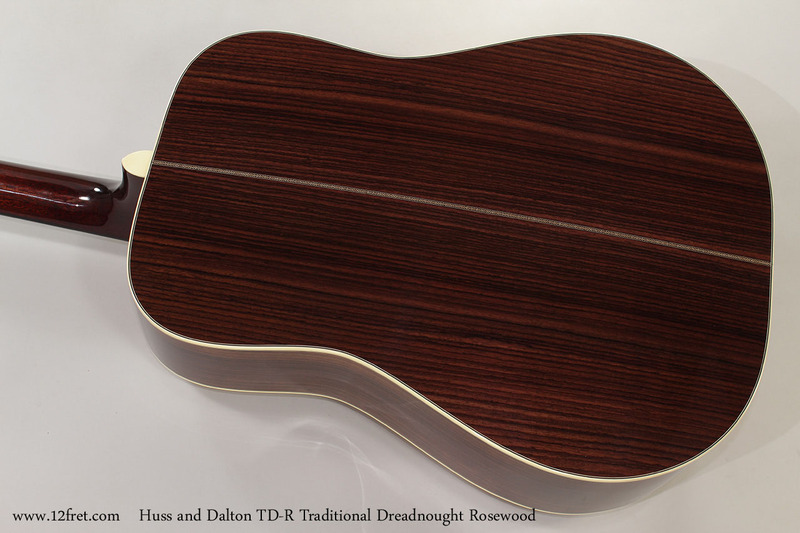 The finishes are impeccable, and the tone is full, rich, and warm. 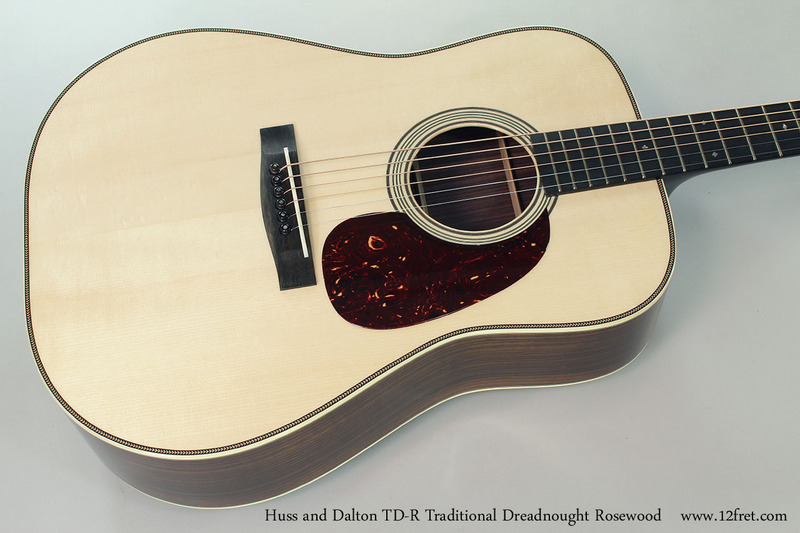 The Huss and Dalton TD-R is a Traditional Dreadnought with East Indian Rosewood back and sides and headplate. On this guitar, the top is Red Spruce, mahogany is used for the neck, and ebony for the fingerboard and bridge. 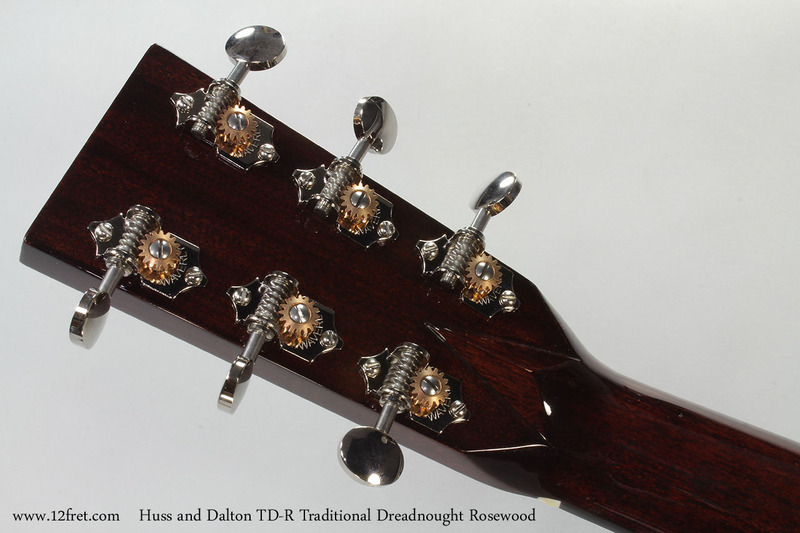 The Huss and Dalton headstock inlay and position marker dots are mother of pearl. For hardware, the nut and saddle are bone and Waverly tuners are installed. This guitar has no installed pickup; it’s just acoustic. A tweed, hardshell arched top TKL case with Huss and Dalton logo is included. Serial Number: Varies as New, shown is #4386, built during 2015.